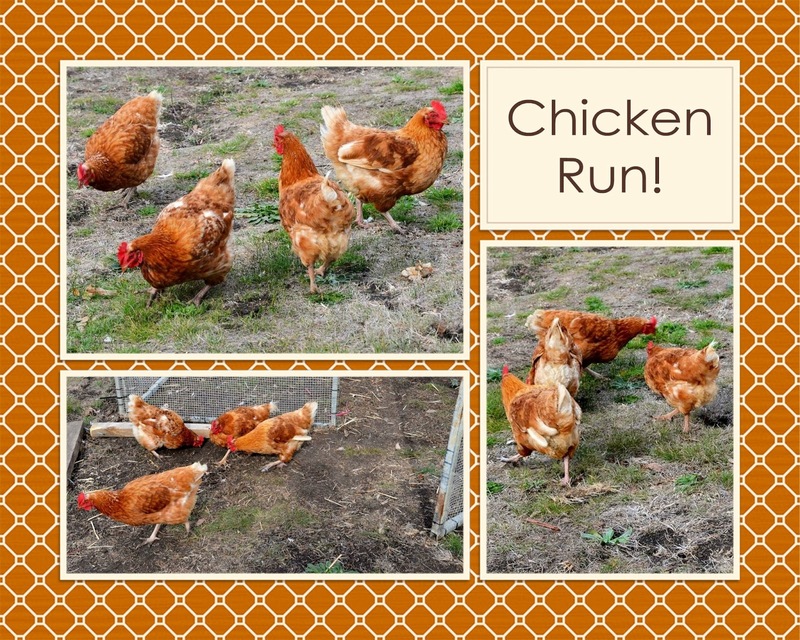 Our chookies have been held in protective custody since they moved into the fox-proof fowl fort (FpFF)! We aren't being overly cautious because fox poo has been found around the house (and Erin's caravan) on a few occasions. Nick and Vaughan have spotted the fox(es) often at night, which is to be expected. Vaughan and I weren't expecting to see one very bold individual in the late afternoon this week, not far from our driveway. It's unlikely that our girls will get to fully free-range but they did enjoy some supervised exercise around the yard, scratching through the overgrown gardens and generally poking about. They are a curious bunch and at one stage were pecking at the front door and peering through the glass to check on us! (That same curiosity worked in my favour when it was time for them to return to the fort. 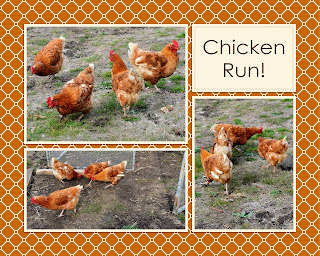 I picked up one chookie and two others followed me back to their coop - and the fourth was caught easily afterwards).